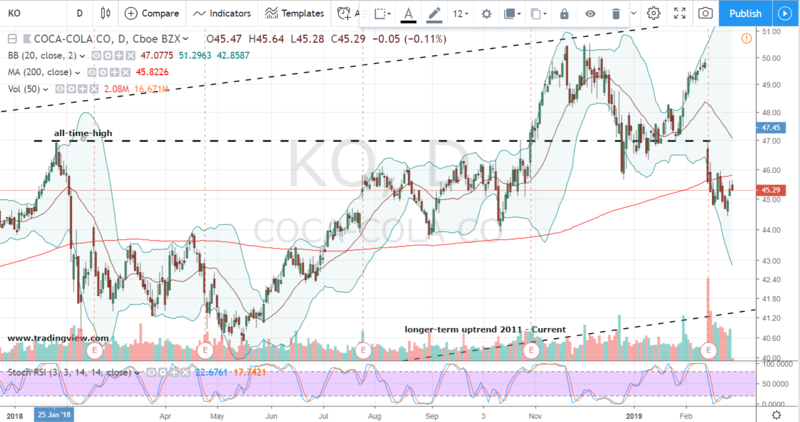 Following mixed quarterly earnings reports and Wall Street spitting out and gulping down those results on the price charts, Coca-Cola (NYSE:KO) “is it” for bears and Monster Beverage (NASDAQ:MNST) the stock of choice for bulls, as a well-packaged pairs trade. Earnings with their associated volatility and sometimes perverse reactions to the news can be a tough trade for investors to play. But there are times when the Street’s digesting of a corporate report on the price chart goes mouth-in-hand with the results. Such appears to be the situation in KO stock and MNST stock. With contrasting earnings confessionals and price feedback from Coca-Cola and Monster investors over the past couple weeks, it’s time for a pairs trade in the two beverage rivals. Coca-Cola is and has been “it” with famed investor Warren Buffet and his equally celebrated Berkshire Hathaway (NYSE:BRK.A, NYSE:BRK.B) for just more than three decades. And the returns have been staggering with gains of around 1,700% since the company initially purchased KO stock in the aftermath of 1987’s market crash. But that was then and this is now. In mid-February, KO released its latest earnings confessional for the fourth-quarter and it was anything but sweet. Overall, the report came in modestly short of consensus estimates. That’s definitely not a flavor-of-the-day combination on Wall Street. Maybe worse though, the report also offered a weak outlook and real lack of the fizz, i.e., growth, in key product markets such as plant-based and water beverages. The disappointing results left a bad taste in Wall Street’s mouth with investors punishing KO stock. In the immediate aftermath, shares tumbled nearly 8.5% while gapping below its former all-time-high. But that wasn’t the worst of it. Despite the broader market’s own continued bubbly price action, subsequent selling sent Coke underneath the key 200-day simple moving average used by many longer-term investors to define a stock’s trend. Now and just over two week’s removed from the report, with shares consolidating in bear territory just beneath the moving average, KO stock is ready to be shorted as part of our pairs trade. This week, MNST stock is a strong bet with bullish investors and for good reason too. The “new” kid on the block delivered stronger-than-forecast double-digit growth, proving it’s not your granddaddy’s dusty old investment. Monster also issued a new $500 million share repurchase program. The combination pleased Wall Street as investors sent MNST stock gapping strongly and finishing higher by more than 8.50%. But it gets even better for bulls on the Monster price chart. Aside from the bubbly one-day gain in share price, MNST stock’s earnings reaction also signaled a bullish breakout of a pattern mid-pivot within a corrective double-bottom base, as well as the 62% retracement level. Looking forward, it is honestly tough to know with absolute conviction whether prior resistance will act as definitive technical support. There is that price gap, which if Wall Street folklore holds true, could always get filled despite MNST stock’s solid report. 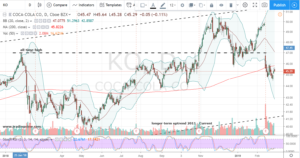 But, as a purchase alongside KO stock and given price action that would still maintain the overall bullish technical integrity of the price chart, this pairs trade is one to consider seriously. 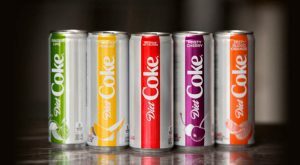 Article printed from InvestorPlace Media, https://investorplace.com/2019/03/the-best-way-to-profit-from-a-coca-cola-monster-beverage-pairs-trade/.